Coming in from hanging out the washing I saw this wonderful display of tomatoes laid out to ripen. They really caught my eye and I noticed with what care they had been arranged. My next project I thought! 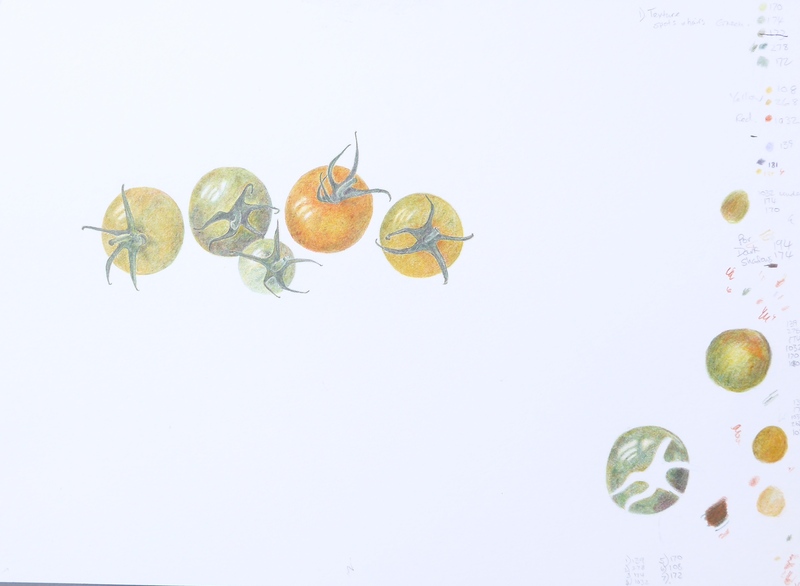 I have just recently worked on tomatoes with Ann Swan so I thought I would like to have another go, and this would allow me to practice tomatoes at all stages of ripening. 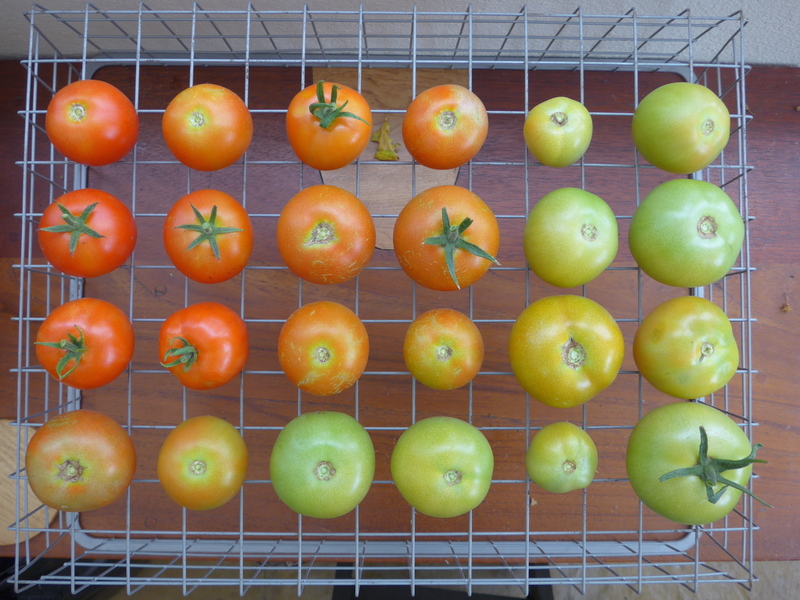 I already knew what colours to use so I was able to get started quickly, was not bothered too much about composition as I was happy just to work with the tomatoes in a grid formation. 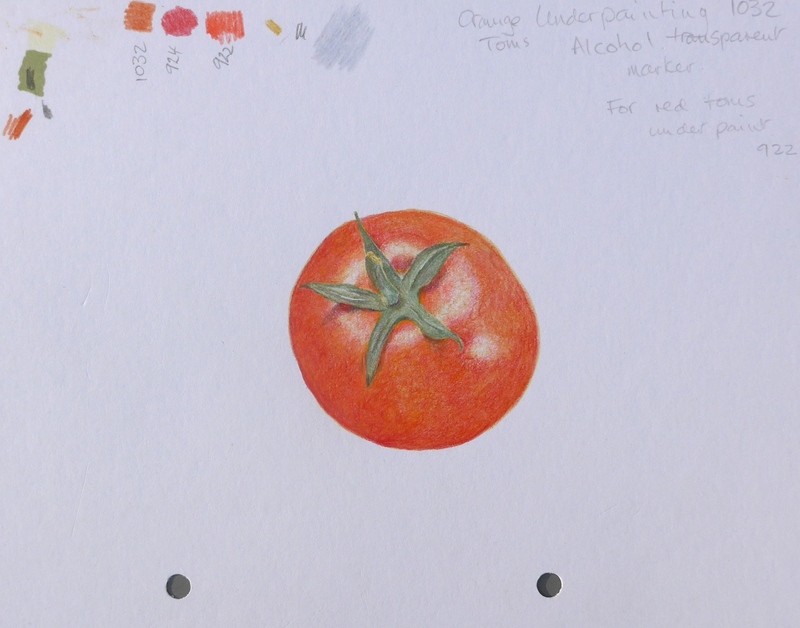 I trialled a green and a red tomato using the underpainting technique I learned and using the transparent Pro Marker to dissolve the colour into the paper. 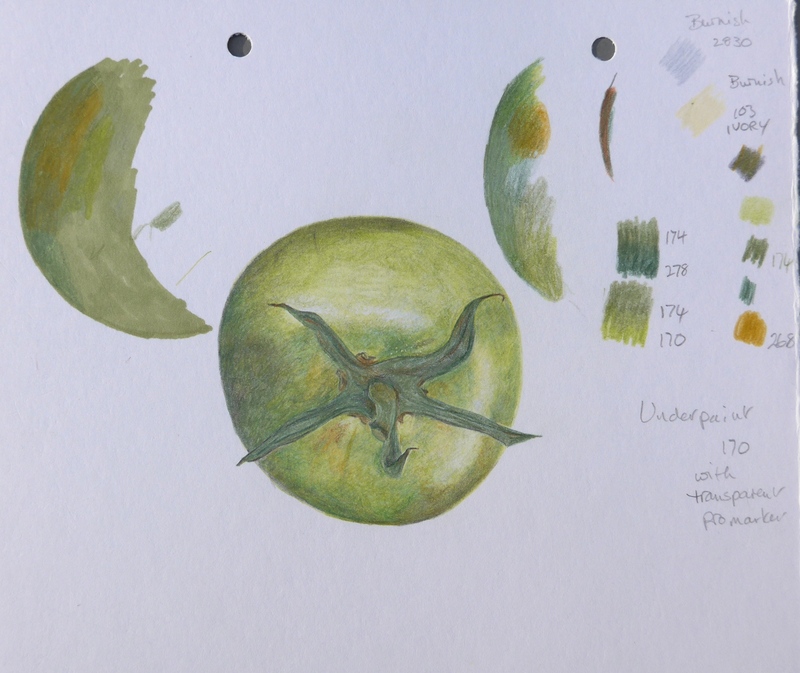 This meant that the base colour application is much quicker, I tried underpainting the green tomato in green Pro Marker but the colour was too dark. Happy with both my trials I cobbled together a light box with a sheet of glass, a cardboard box and a desk lamp and traced onto good paper; then I had a happy afternoon putting on the base colour underpainting, now all I have to do is colour all those babies in! 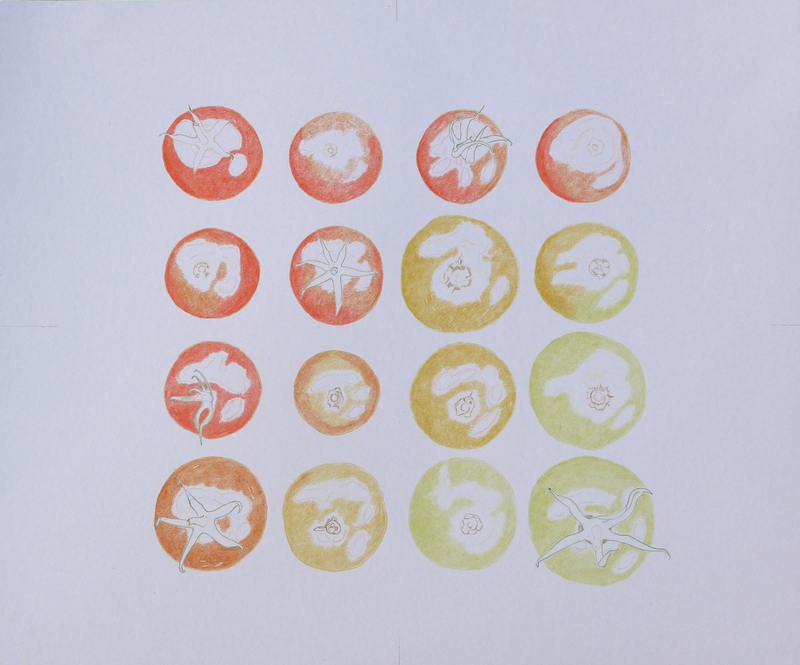 I suspect I won’t be as fond of tomatoes when I am finished! 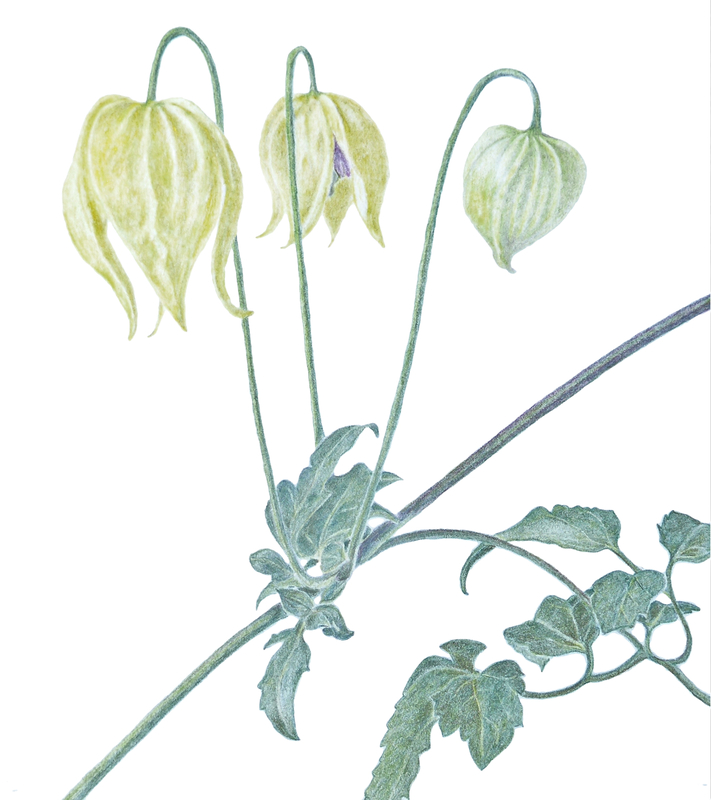 This entry was posted in art, Draws Shoots and Leaves, technique and tagged ann swan, coloured pencil, tomato on September 28, 2014 by Draws Shoots and Leaves. 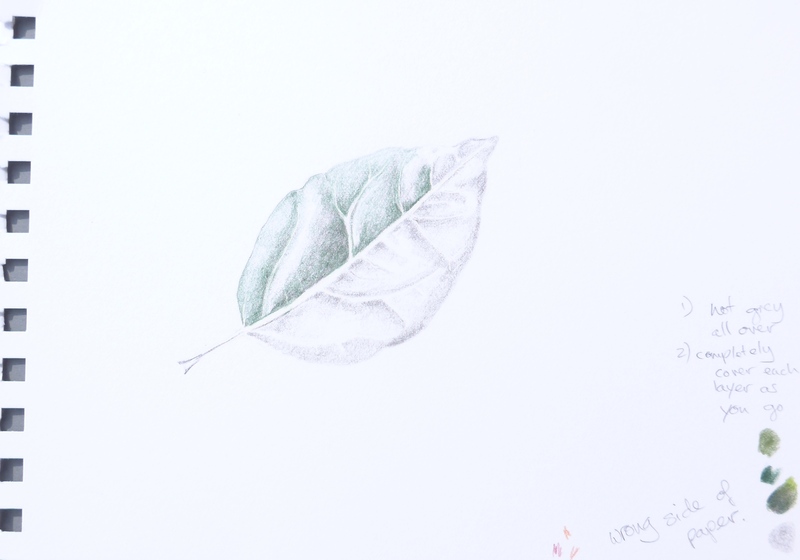 This entry was posted in Draws Shoots and Leaves and tagged words on September 24, 2014 by Draws Shoots and Leaves. Just a quickie again this week….. 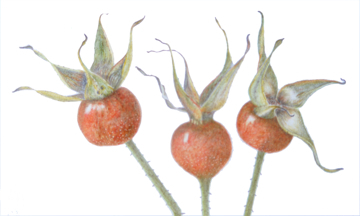 I finished the rose hips, it was such a tiny picture (5ins x 3ins) it did not take up too much time. 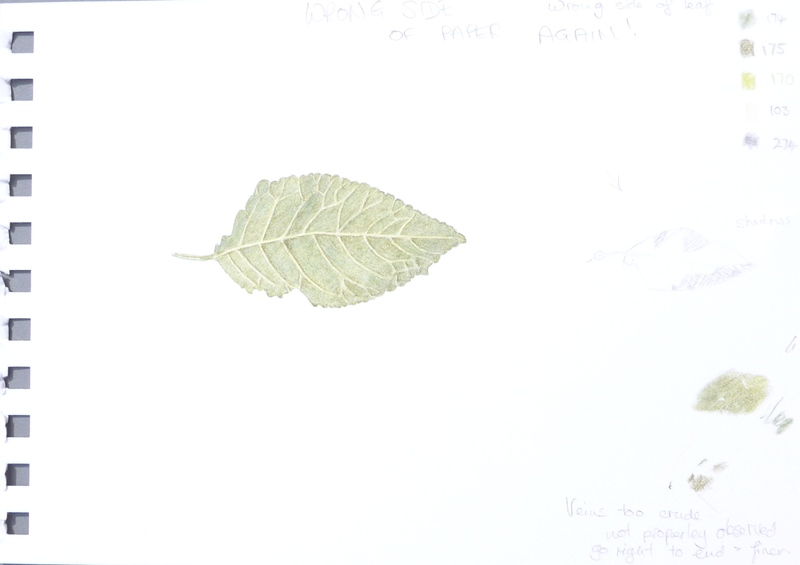 But the photo I took to put in the blog was not good, photographing white paper – ARGGGH. Scrabbling around the Internet I found reference to image editing software called Pixelmator, and I downloaded the app for a 30 day free trial. Well, I am very happy with it, especially after my very frustrating experiences with Gimp. Gimp ‘0’ Pixelmator ’10’! Obviously I need to practise but there are a bunch of tutorials on YouTube so I am happy. So now I am learning photo editing………. Anyway at least I can cut out my image and place it on a white background thus solving the photography problem. The colour editing tools seem good so I can colour match if I want to. I worked on the Tangutica again and ‘beefed’ up the intensity of the colour in the drawing. The yellow in the image is still not ‘true’ even with my photo editing. 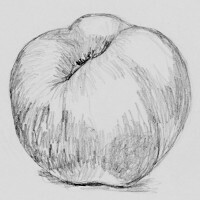 This entry was posted in art, botancial art, photography and tagged art, colored pencil, coloured pencil, gimp, photography, Pixelmator on September 21, 2014 by Draws Shoots and Leaves. 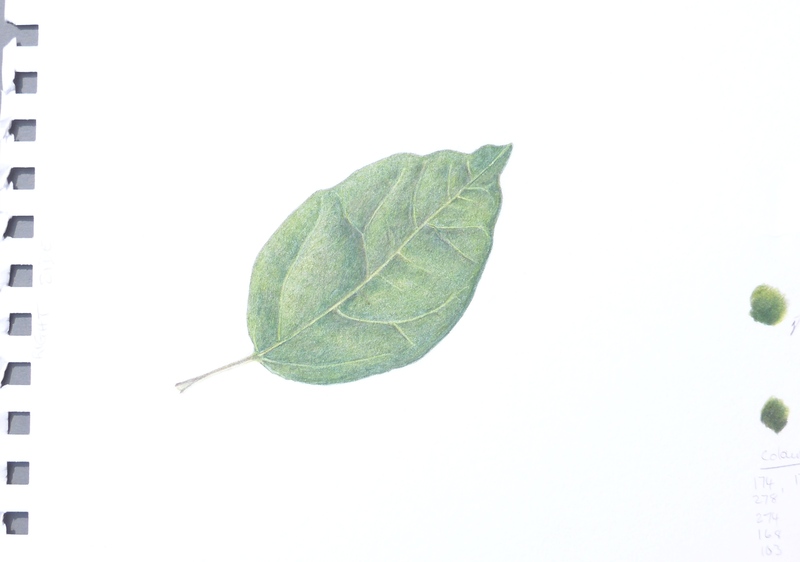 This entry was posted in Draws Shoots and Leaves and tagged words on September 17, 2014 by Draws Shoots and Leaves. 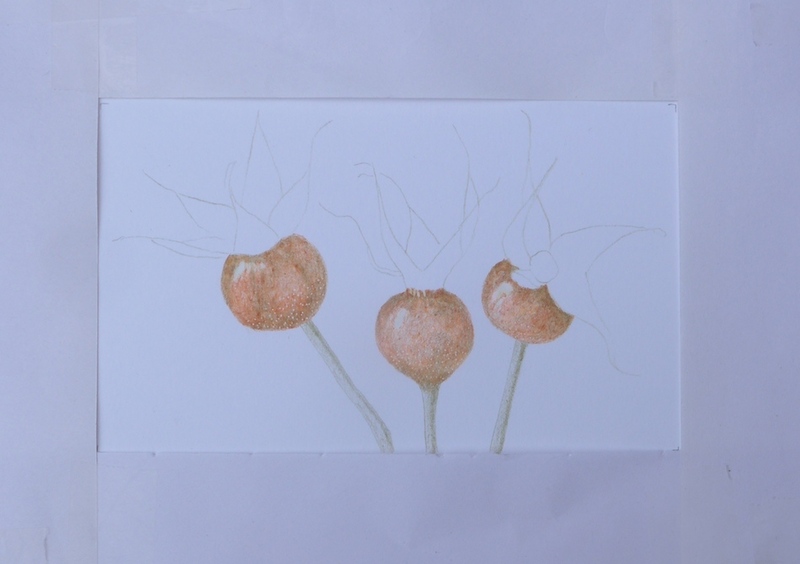 Back to real life and drawing when I can fit it in……. A few days away in Liverpool (wonderfully interesting city by the way) meant that I have not had much chance to do anything. So a very short post this week. 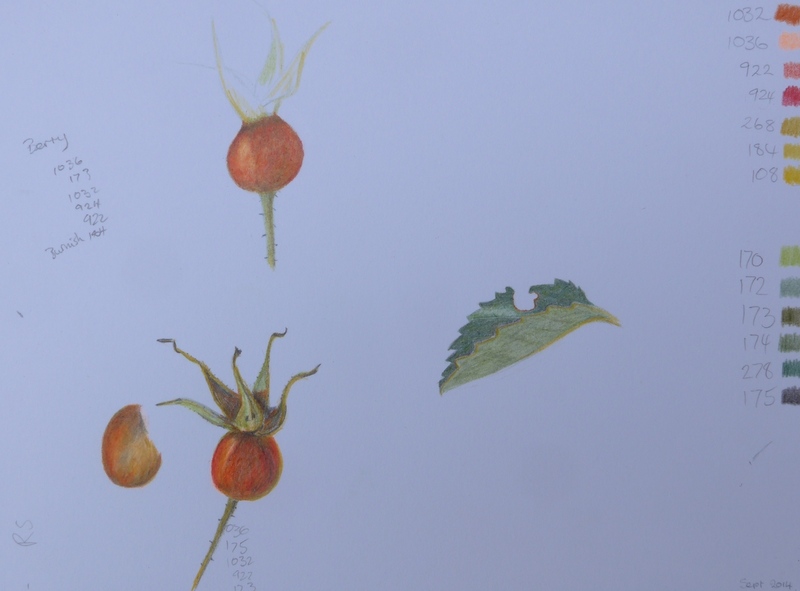 My eyes were attracted to the rose hips yesterday, and now I realise that they are very similar to the tomatoes I have just finished – not necessarily a bad thing as I can have another go at working with red and shiny. This is as far as I have got with the drawing, I have laid down some ground colours and am now starting to build on that. 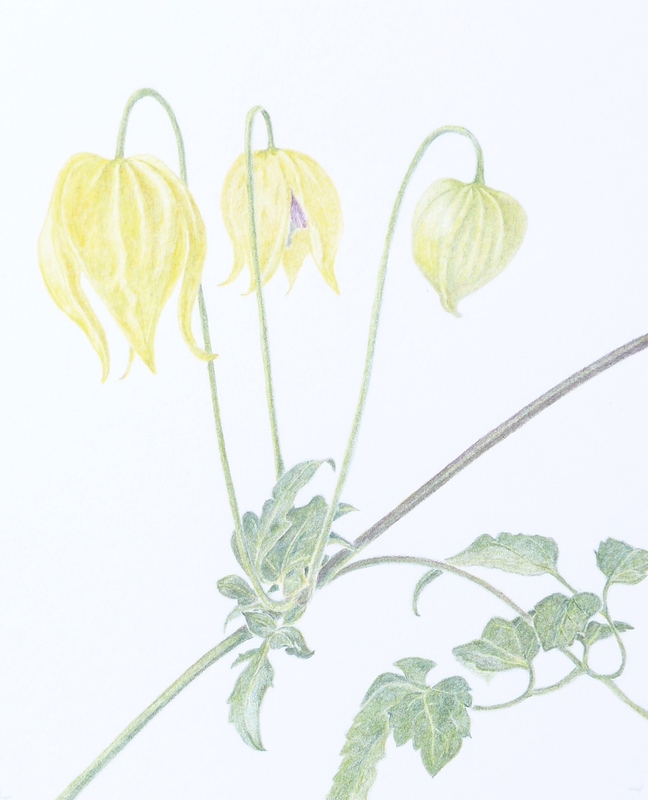 This entry was posted in Draws Shoots and Leaves and tagged botanical art, colored pencil, coloured pencil, rose hips on September 14, 2014 by Draws Shoots and Leaves.